According to the WHO, the odds of being affected by DVT are one in 6,000 for flights of four or more hours. That translates into one passenger per 15 B747s. The blood clots in question are also known as deep vein thrombosis (DVT), known in the vernacular as coach class syndrome. That’s coach class, as in cramped seats. As in, too little legroom. And speaking of legroom and DVT, earlier this month the European Aviation Safety Agency (EASA) disclosed that it is looking into establishing minimum spacing between seat rows. 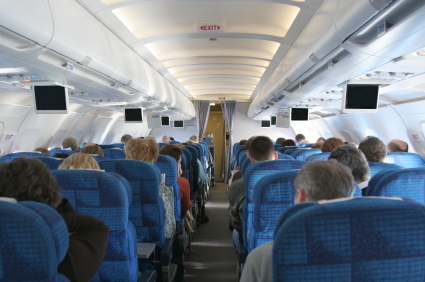 A wire service report also quoted an EASA spokesperson as warning that, in addition to its link to DVT, cramped seating could impede emergency evacuation in cases of an onboard fire or crash. On the grounds of comfort and basic respect for passengers’ rights, travelers and consumer advocates (like me) have been railing for years against the ever-decreasing leg room in the back of the bus, to no avail. Perhaps the real danger of killing their customers will finally force the airlines to ease the cramped conditions in the coach cabin.